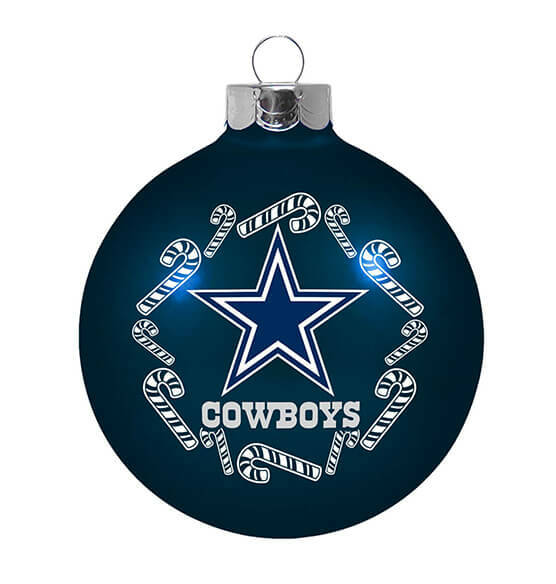 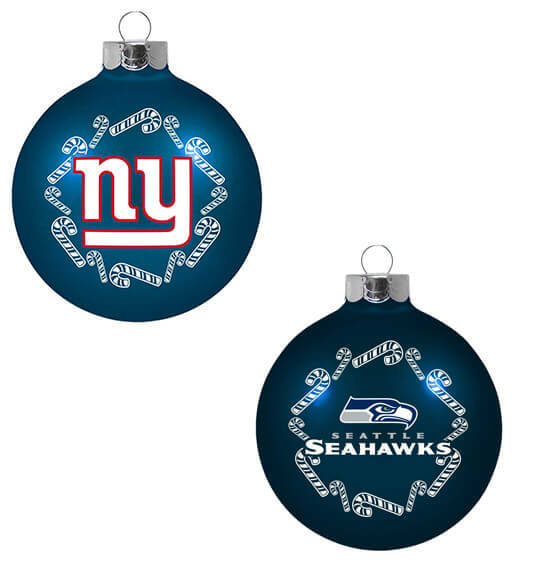 Sporting official NFL team logos and festive candy canes, these NFL Glass Ball Ornaments score extra points with football fans! 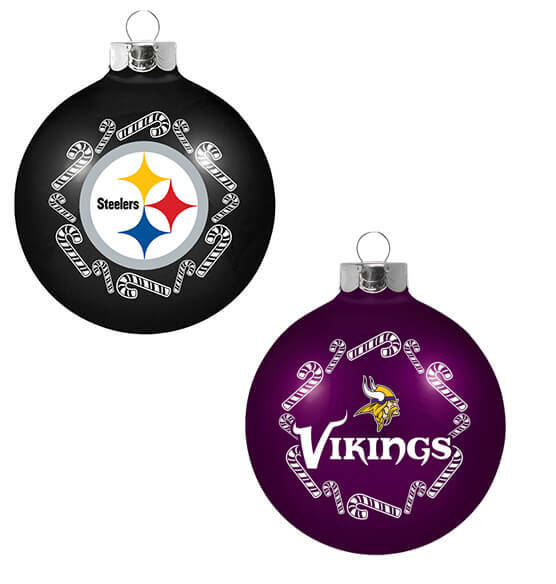 Featuring colorful team logos on assorted team colors, each glass NFL ornament is detailed with a circle of white striped candy canes. 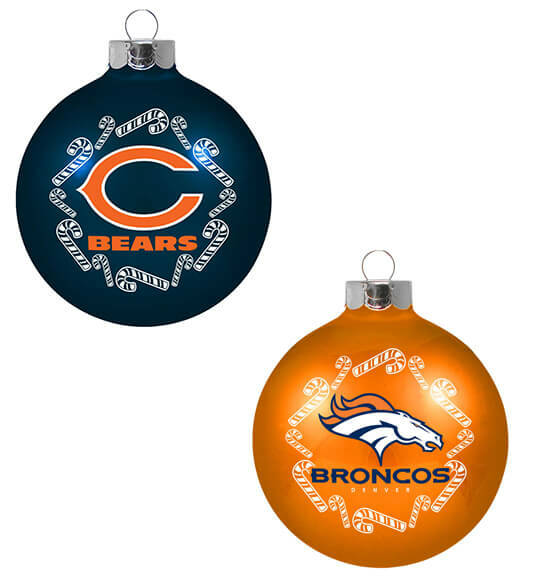 2 5/8" dia.